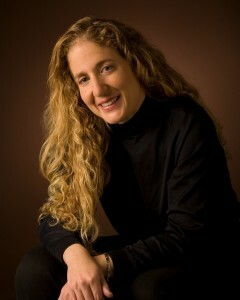 Chehab’s first novel, The Echo of Sand, was published in November 2009 by Mid-List Press after she won the First Series Award. Her writing has been recognized by Joyce Carol Oates as Honorable Mention for the Zeotrope: All-Story Fiction Contest and chosen as runner-up for the San Diego Book Award. Chehab’s second novel, The Tunnel, was published in July 2015 by MediaAria CDM. The Tunnel was a top finalist for The Arthur Edelstein Prize, a semifinalist for William Faulkner-William Wisdom Competition, Salem College’s International Literary Prize, and for the Ruth Hindman Foundation and University of Alabama Short Story Contest. The novel also received a fellowship from the Summer Literary Seminars in Lithuania and Kenya, and was awarded second place in The Roanoke Review Fiction Contest of which the first chapter was published. In addition to these awards, she has been featured and honored by numerous publications to include Ohio State University’s The Journal, The Briar Cliff Review, Carve Magazine, Cutthroat Magazine, South West Writers, Santa Fe Writers Project, Chautauqua Literary Journal, New Millennium, New York Stories, and the Pacific Northwest Writers Association’s awards. Before I begin a novel, I start to write many first chapters and the one that grabs me the most usually becomes the novel. I also write about a hundred pages of notes on the characters, the setting, the plotting points. I’m very organized so I usually know what direction I’m heading. However, the characters always take on a life of their own so I remain very flexible and let the thought and writing process flow. Yes! I always listen to them. They are very three-dimensional and alive on the page. Most characters are a combination of people I’ve met – some intimately and some strangers in passing. It’s so exciting to see them take on a life of their own and become very real. I have published my two novels with small independent presses. I love the attention and support in being in a small environment. However, their resources are very limited so I have to do a lot of the marketing and promotion on my own. Oh boy! What a big question. I think the opportunities are boundless. Obviously, social media has changed and broken all the traditional rules which makes the entire world our marketplace.